The day my owner brought an Old Box Fort home from the Money Tree is potentially one of the greatest days of my life. Some days I feel like the odd pet out. Even though I've been here the longest, and have known Kharme for most of that time, there is something lately that keeps them all rather distant. Kharme would rather fly around and explore with Designer, but who am I to blame him? If there was a pet here so similar to myself I would probably do the same. They've reached out an invitation from time to time, but I don't want to seem like I'm intruding on their "Draik time." Sometimes you just need to spend a little time with someone of your own species. Will is lovely, but he speaks in a language that I don't always fully understand. He's also more of a "me" character and would rather spend his time writing some book or play. I asked him to write a poem for me once, it was quite beautiful and I have it hanging on my wall. He even signed it, so when he's famous it'll become somewhat of a treasure! We both laugh about it now but I really think he's going to be famous one day. Our family is quite large, although I sometimes wish I could see some of my older family more; Jor, Jed and Zhar. We spent a lot of time together growing up! Kharme was there too in those days, but we're all a little older than he is. Sometimes I get Kharme to come and visit them with me, and he's always more than happy to do so. Not that he would ever admit it or anything but I think he misses them more than I do sometimes. I would love to live with them again, but Kharme would miss me a lot! I only just got back after all, and he's the only one who's never really had a different place to live. Halloween is fast approaching, or else it has already passed. It's hard to keep track of the days every now and then, but this year I decided that I wanted to dress up as a princess. Designer gave me her dress to wear for my costume! I've never really been fond of the colour pink, but ever since I decided to stay as a Faerie pet, it's sort of grown on me. The thought to stay as a Faerie is fairly recent. My owner seems rather pleased with my decision too! She's been trying to find a colour and species that suits me, so she's been zapping me in an attempt to find this look to make me a beautiful pet for almost as long as I've been here! Not that I wasn't beautiful before, I know I was, she knew it too, that would be why she rescued me from the depths of the Neopian Pound. In many species and colours I've always found a way to like myself, but part of me always wanted something more, something different. Maybe I'm just indecisive? It's funny, I've been so many different species and colours but I'll always see myself as a Camouflage Poogle. I've told my owner this before and she laughs with me and agrees. It seems like such a long time ago! But it was a huge part of my life and I will always remember it for that reason. Maybe one day I'll change back into a Camouflage Poogle. That look seemed to suit me. I just wouldn't be able to fly anymore! I have wings now! I've never really been able to fly before, though I've tried many times. Kharme tried to teach me once! Years ago, we were playing pirates I think. Kharme loves to play pirates and I think on some level he would one day like to become one, although I do remember him mentioning that he hated the idea of having a hook hand. "All the best pirates have hook hands," I told him once, it was the same day that he was going to teach me to fly. "But a pirate is so much more than a hook!" he explained. I could tell that he meant it too, if he were ever going to be a pirate, he would find a way without having the hook. I believed it, and still do. Kharme has never been painted! Can you believe that? He's over 7 years old and he's still the same colour that he was hatched as! You don't see that kind of originality anymore, and I kind of envy him for it. My owner is partially to blame I think. She's pretty sentimental like that, never wanting a change, but in the end she really respects what we want. I really love her for that. 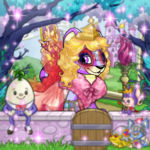 We've never really been poor, my family, though my owner does everything that she can in order to save neopoints and keep us all happy. She brings us to the Money Tree almost every day. I think some people may find that strange, but we've always been taught to get the most out of other's kindness. If someone wants to throw away food, or a book, or a little trinket, we should find a way to get some use from the discarded items. The books have always been a favourite find. Designer is the big reader in the family, but she lets me read whatever she doesn't want, and I do. We all have different things that we like to gather at the Money Tree. Kharme collects treasures, Designer reads, Will gathers new plushies and I like to take anything that captures my attention. You'd be surprised what some people throw away! Sometimes when it's early in the morning, and none of us are up, my owner will take a trip to the Money Tree and bring us all back something to enjoy while she's away at school or something. She did this one day and all of us woke up to a cardboard box sitting in our living room. It's a simple thing really, a cardboard box. You carry things in it, take things out of it, but I don't think any of us really knew what my owner expected us to do with one. "Are we moving?!" Designer cried. Poor thing, I don't think she ever wants to be moved again. My owner reassured us all that we weren't moving and proceeded to tell us that this box could be anything we wanted it to be. I didn't get it, and I don't think I was alone in that thought. So my owner left for the day and we all sat around the box wondering what we were supposed to do with it. Will was the first to come up with an idea. "I just finished working on a play!" he told us, "Do you want to perform it with me?" The box was different then. It changed into this magnificent theatre where we all performed Will's play. We laughed for hours as we changed into the different characters and acted out the brilliant piece of writing for Will's plushie collection. When we read the final lines we all took a bow for our expressionless audience and sat around the box again. Kharme's idea came next. "Let's sail the open seas of Neopia and hunt for treasure!" he exclaimed. He must have been thinking of pirates again. The box transformed a second time and suddenly we found ourselves in the middle of the ocean! Designer was up in the sky looking for enemies, Will was drawing a map, I was polishing the cannons and Kharme was our captain. We found our way to Smuggler's cove with a collection of the finest pirate's treasure imaginable! As we found ourselves sitting around the box again, I had another idea. The box transformed a third time into a beautiful castle with me as its princess. Designer wanted an excuse for a costume change so she was going to be an evil spirit haunting the castle while Kharme and Will were my knights in shining armour! That's how we spent the rest of the afternoon; All four of us, together in a box. We were fighting evil, hunting for treasure and performing for a collection of plushies. It was the most fun any of us had ever had! That box was changed many times that day, but it was just as amazing with every change as it was originally, just a little better. It got me thinking again about the Camouflage Poogle that I used to be. That was a long time ago, and I've changed many times since then, but I'm still the same pet I was before, just a little better. We gave the Old Box Fort back to the Money Tree. Maybe you've seen it? As a group we decided that we would rather share the box with others instead of keeping it all to ourselves. Maybe one day our owner will bring another one back for us, or maybe she'll bring something even better? You'd be surprised at what some people throw away, but I bet you'd be even more surprised at what some people take back. That day, in that Old Box Fort, we all found each other again. But even more importantly, I found myself.